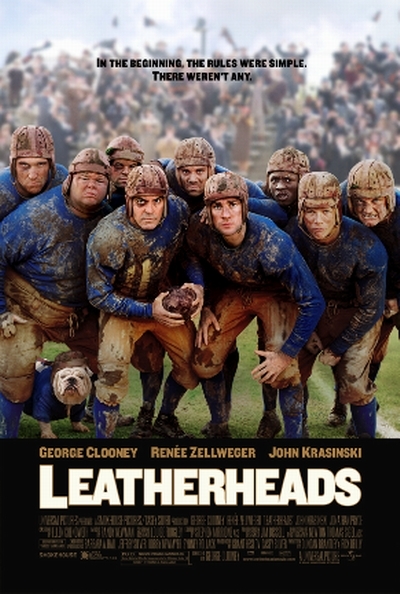 Story: Oscar winners George Clooney and Renee Zellweger match wits in Leatherheads, a quick-witted romantic comedy set against the backdrop of America's nascent pro-football league in 1925. Clooney plays Dodge Connolly, a charming, brash football hero who is determined to guide his team from bar brawls to packed stadiums. But after the players lose their sponsor and the entire league faces certain collapse, Dodge convinces a college football star to join his ragtag ranks. The captain hopes his latest move will help the struggling sport finally capture the country's attention. Welcome to the team Carter Rutherford (John Krasinski), America's favorite son. A golden-boy war hero who single-handedly forced multiple German soldiers to surrender in WWI, Carter has dashing good looks and unparalleled speed on the field. This new champ is almost too good to be true, and Lexie Littleton (Zellweger) aims to prove that's the case. A cub journalist playing in the big leagues, Lexie is a spitfire newswoman who suspects there are holes in Carter's war story. But while she digs, the two teammates start to become serious off-field rivals for her fickle affections.